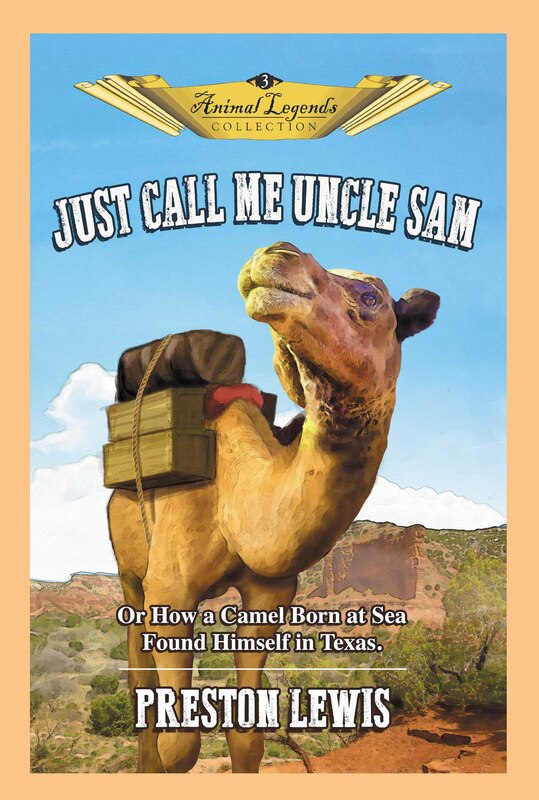 My latest young adult novel, Just Call Me Uncle Sam, has now been published by Wild Horse Press. This is my third juvenile novel, but the first where I had actual kids help me write it. The book is the third in my Animal Legends series which looks at our Texas heritage through the eyes of animals that helped make that history. The books follow the concept of Robert Lawson’s Ben and Me, a classic tale of Benjamin Franklin as told by his faithful mouse assistant Amos. This book as well as the Disney animated short of the same name were childhood favorites of mine. 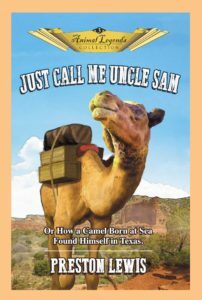 Just Call Me Uncle Sam is about an actual camel that was born at sea on the way to Texas as part of the U.S. Army’s experiment to see if camels could provide more efficient transport of men and supplies in the arid Southwest. Without a doubt, they could, but soldiers and civilians alike found the animals repulsive and resisted any widespread utilization of the dromedaries. So, I imagined what it must have been like to be a camel born at sea, trying to adapt to Texas and the Army with his parents. That’s where I needed a little help from The Grands in the resolution of the story. So, while they were at Camp Mema/Gulag P-Pa three years ago, I asked them each to give me a line that they might say to a camel that was about to go swimming. “Why do you have a mountain on your back?” Miss Hannah offered. “Camels always sink when they are too big,” Miss Cora suggested. “No, no, no!” an emphatic Miss Miriam offered, while Miss Carys echoed her by suggesting “Hey, hey, hey!” which I turned to “Hay, hay, hay!” for dramatic purposes. Mr. Jackson was a little too young to understand what I was after so I took his comment about Camp Mema—“It’s a fun place to play!”—and adapted it to the story. Since Miss Hannah was going through her horse phase of development, I gave The Grands equine names, creating Hannah and Miriam Horse and Cora, Carys and Jackson Colt as their character names. So I’ll be able to give each of them for Christmas a book naming them and incorporating their lines in the text. These are the types of schemes authors pull to amuse themselves, their kin and their friends.